Everything you need to know about the ICC Women World T20 schedule and timings. 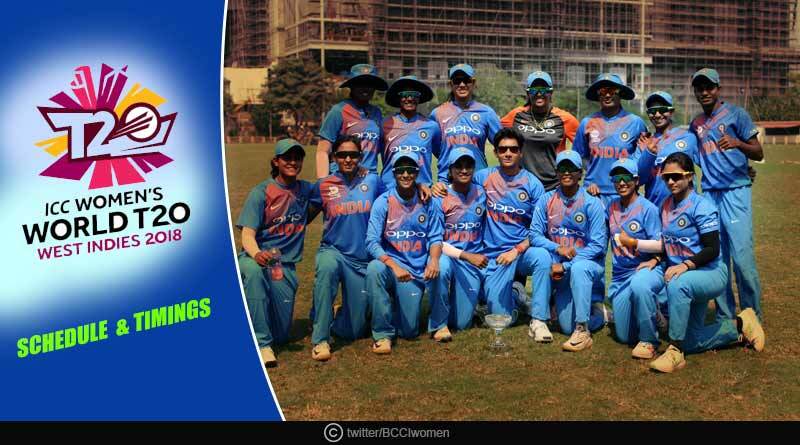 From Harmanpreet Kaur’s stellar innings of 103 that headlined the tournament on opening day to the Indian outfit putting in an all-around display against Pakistan, the Indian women have started off their campaign strongly to grab Group B by the scruff of its neck. As we go all out in our support of the women this tournament, we bring you the entire schedule of the world cup to ensure that you don’t miss out on any of the action. Moving ahead with ICC Women World T20 schedule and timings, the ICC Women’s World T20 group stages has been dived into two groups- Group A and Group B with each group having five sides in it. Each side in the group will play each other once with the top two teams from each group making the semi-finals of the tournament. Taking place from November 9-25, the torment will see a total of 23 matches being played. The group stage comes to a close on the 19th of November with the two semi-finals being played on the 23rd before the summit clash on the 25th. India next plays in the world cup on Thursday, 15th November against Ireland starting 8:30 pm IST with the pre-match coverage starting 8:00 pm IST and the toss at 8:15 pm. In India, Star Sports will be covering the showpiece event with Star Sports 1/HD and Star Sports Select 1/HD bringing the matches in English commentary and Star Sports Hindi/HD airing the matches in Hindi. The matches can also be watched on your mobiles on the Hotstar app. Follow the Tentaran feed live on tentaran.com or our Twitter and Facebook pages for life, minute by minute updates and important news from the world cup. For more details on ICC Women World T20 schedule and timings and related updates, like and subscribe to tentaran.com.